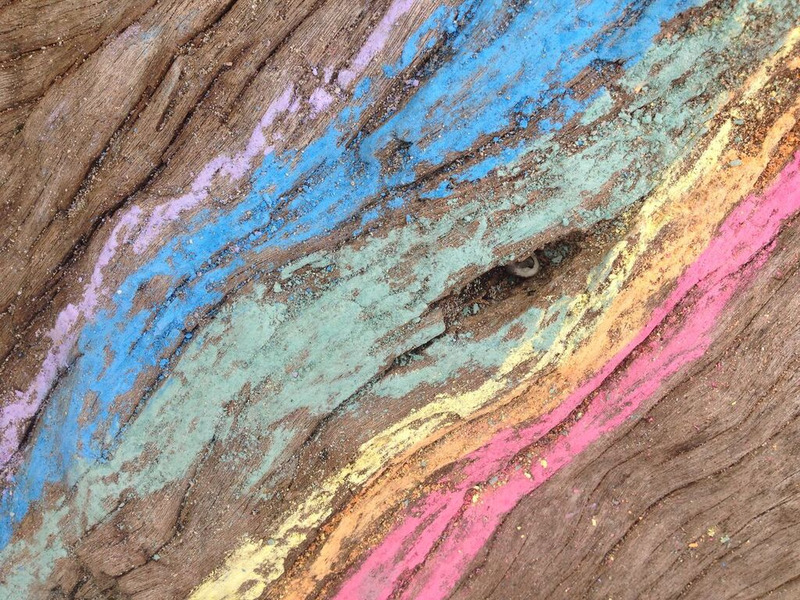 "Driftwood Rainbow" is part of the body of work "Everything Is Perfect." 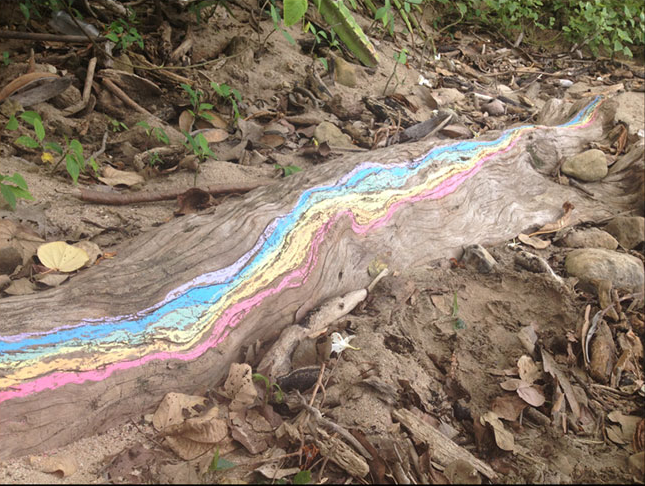 For this artwork, the artist used only materials that were available in the local grocery store, such as chalk for children's sidewalk drawings. Each artwork, including "Driftwood Rainbow," is as much a ritual as an object.